Queenstown Airport has an easy to navigate layout, to ease your way to the next stop on your travels. It’s a single terminal structure so all is under one roof. There are plenty of shopping options to be had in Queensland Airport, from sweets, gifts, duty free, food and drinks, but you can also get a local sim card from Vodafone. If you are traveling with toddlers they also have a special parenting Room for you, or if you need first aid, there is also the First Aid room, fully staffed to help you. 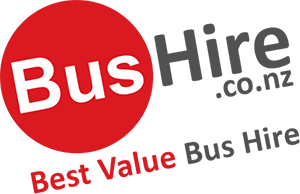 There are public buses that can take you from the airport to the city, or even to your hotel, as Connectabus has a dedicated line that runs from the airport to hotels, motels, shopping and attractions. There are a host of taxis to select from too, if you are not up to travel in a bus, or you can use the shuttle bus service that is also available at the airport. If you feel like pampering yourself you can get a limo service, ranging from the luxury cars to vintage and classic cars, or simply rent your own car from one three car rental companies that are available at the airport. The recommended way to get to Queenstown city is using an airport transfer, regardless whether you are arriving in the Queenstown airport for a business meeting or you are coming into Queenstown on a vacation. Your concerns about luggage capacity, safety and comfort will be well met with our airport transfer services. Bushire.com.nz can provide all vehicle types from Sedans to minibuses to full size coaches.